The image of the item description was orange, but actually black was sent. I wanted to change the color depending on how I used it, so I chose something a bit expensive, but I lost meaning. This review is about item#5848604. The direct memory is easy to use, but the higher the torque, the more difficult the adjustment dial becomes. This review is about item#5848613. I am slightly dissatisfied because there is no sound at the end of tightening. Purchasing is important if sound comes out. This review is about item#05848604. 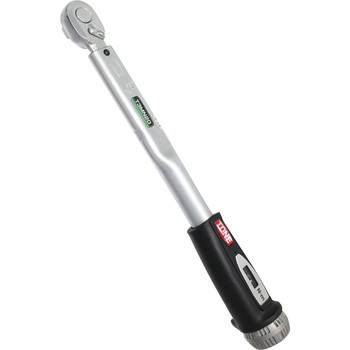 I was looking for a torque wrench of lower torque than before, but in other parts merchants there is only inventory in the wholesaler, it took about 5 days to order, but here it is in stock so if necessary the next day I arrived so very much, I like it. TONE Preset type "click" does not accumulate! It is used for the tightening work of the wheel nut of the car again. It is easy to understand at a glance how much torque it is tightening. This review is about item#05848622.